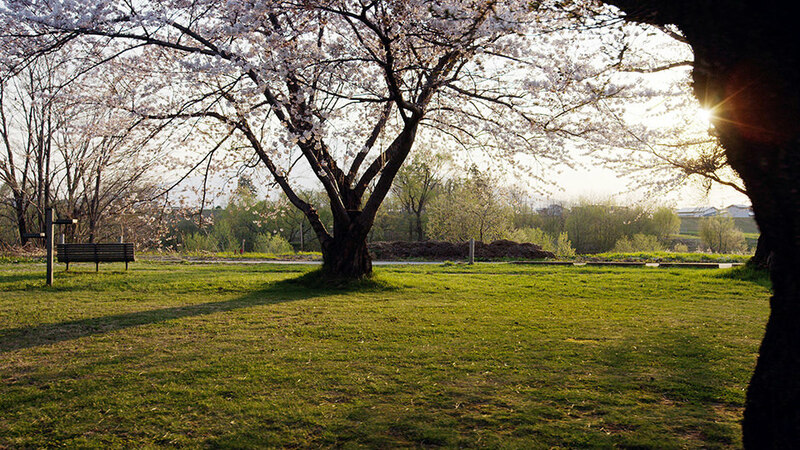 Located at the foot of Banryu Bridge, this park is a little-known great place to see cherry blossoms. 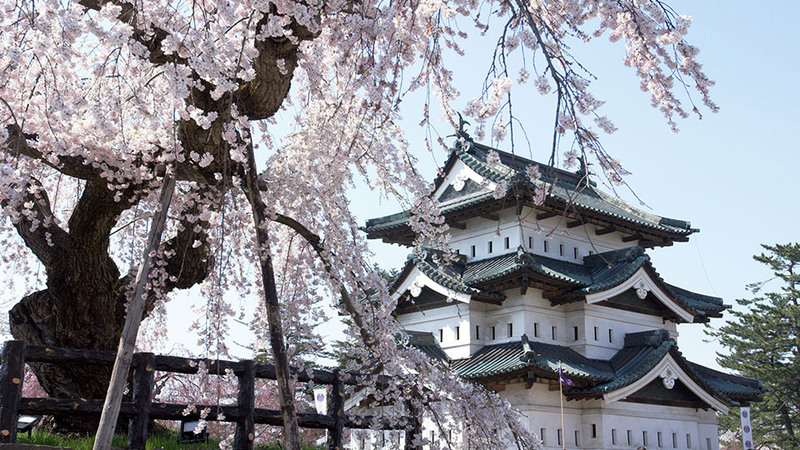 The view of 100 fully blooming cherry blossom trees against the backdrop of Mount Iwaki dotted with snow is truly stunning. A cherry blossom festival is also held here, where you can enjoy live Tsugaru shamisen and yosakoi dance performances. 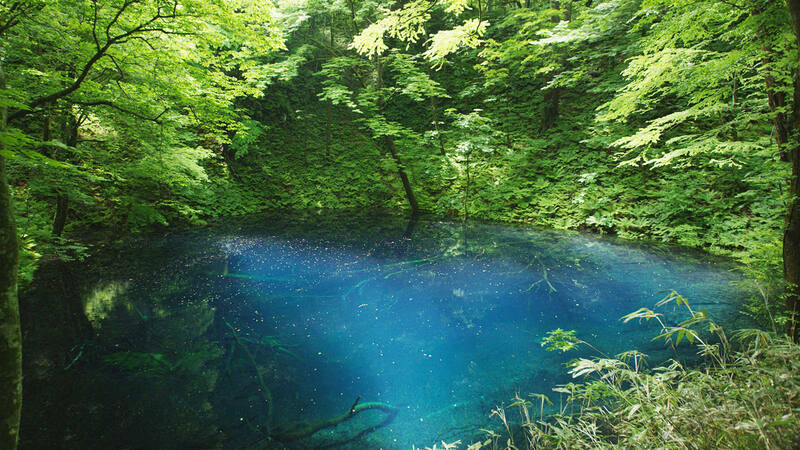 Located on the northwestern side of the UNESCO World Heritage Site of Shirakami-Sanchi is a mysterious, blue pond nestled in one of the world’s largest primeval beech forests. The elegant, cobalt blue water looks like a beautiful jewel as the sunlight filtering through trees reflects off its surface. Gono Line is a 147.2-kilometer railway line that stretches from Kawabe Station to Higashi-Noshiro Station. 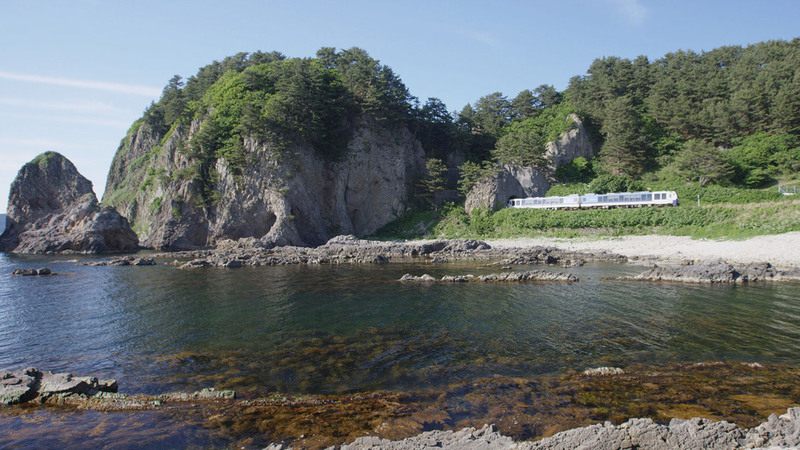 The popular rail line runs so close to the shoreline of the Sea of Japan that spray from the waves sometimes reaches the tracks. Enjoy the ever-changing view from the window as it passes by fantastically shaped rocks in the water and other beautiful natural sights.